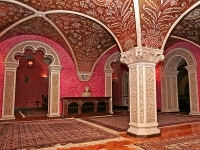 Serbia's capital city is a gritty and vibrant hub of hedonism and history. 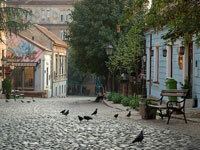 From the ancient Kalemegdan Citadel and Byzantine churches to the Soviet-era blokovi (housing blocks) and art nouveau architecture, Belgrade tells many stories and offers plenty of unique experiences. Marvel at the Roman ruins, art galleries, or the magnificent Temple of Saint Sava, one of the largest Orthodox churches in the world. 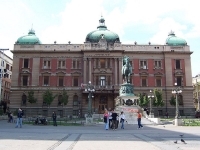 Delve deeper into Serbian heritage at the National Museum, and gain some insight into the lives of Serbian royalty with tours of the Residence of Princess Ljubica and the Royal Palace. 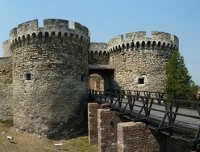 There's something for everyone to enjoy at the Kalemegdan, whether it's the ancient fortress, Military Museum, and art pavilion for the culture vultures and history buffs, or the parks, planetarium, and zoo, which will delight the kids. Visitors can wander the Old Town, admiring the architecture and historical sites, and stroll along the pedestrianised shopping promenade Knez Mihailova. The vibrant nightlife of the capital city is notorious, with endless dancing, live music, and even floating nightclubs. Skadarlija Street is the bohemian heart of Belgrade, boasting bars, cafés, and restaurants that spill out onto the pavements on balmy evenings. In summer, visitors can join the locals with picnics, water-skiing and sunbathing on the beaches of Ada Ciganlija, an artificial island in the Sava.